Board index » GENERAL DISCUSSION (LIFE! Don't talk to me about life!) » LIFE, THE UNIVERSE AND EVERYTHING..
We all know there are only two types of people in the world: cat people and dog people. 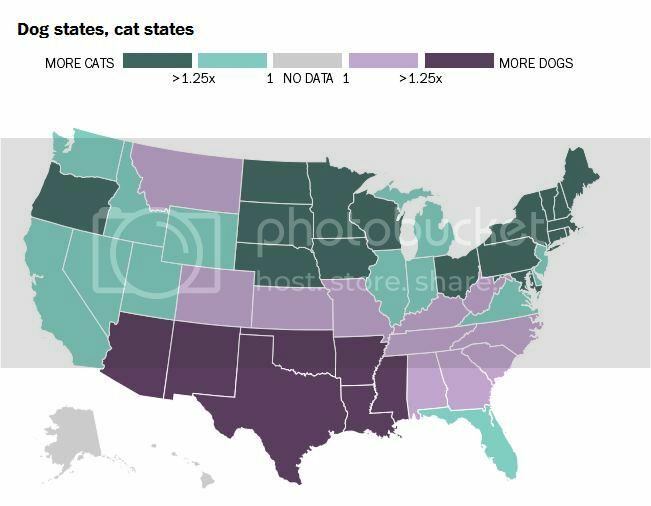 But data from market research firm Euromonitor suggest that these differences extend beyond individual preferences and to the realm of geopolitics: it turns out there are cat countries and dog countries, too.